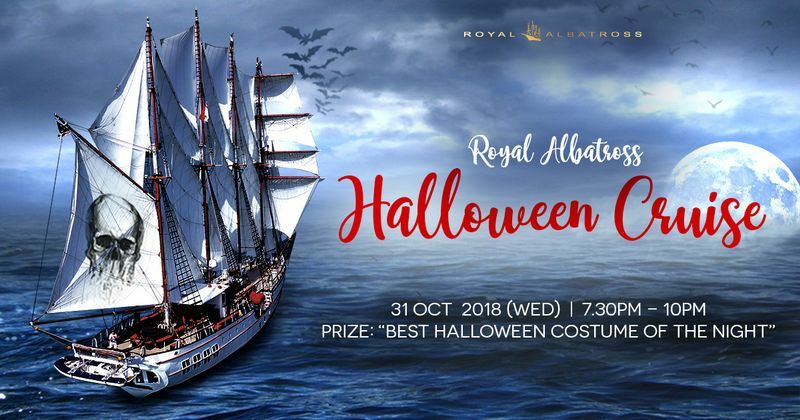 This Halloween, escape the horrors of everyday life to another by stepping on board a real sailing ship from a bygone era – the Royal Albatross for a mystery cruise departing Resorts World Sentosa @ 730pm. Encircled in a shroud of mist, secured by creaky ropes attached to the jetty, there is the silhouette of an old pirate ship. The neon haze and the smoke filled decks of this olden 4-masted schooner, transport you back in time to the swashbuckling age of the 17th century. Come decked in your best costumes (theme: pirates), and the best dressed stand a chance to win attractive prizes. The ship awaits.